Meat and cheese melted into a gooey heavenly wonderfulness? Sign me up! i LOVE to make and eat quesadillas. Actually, that's kind of a falsehood. I haven't purchased flour tortillas in over a year. 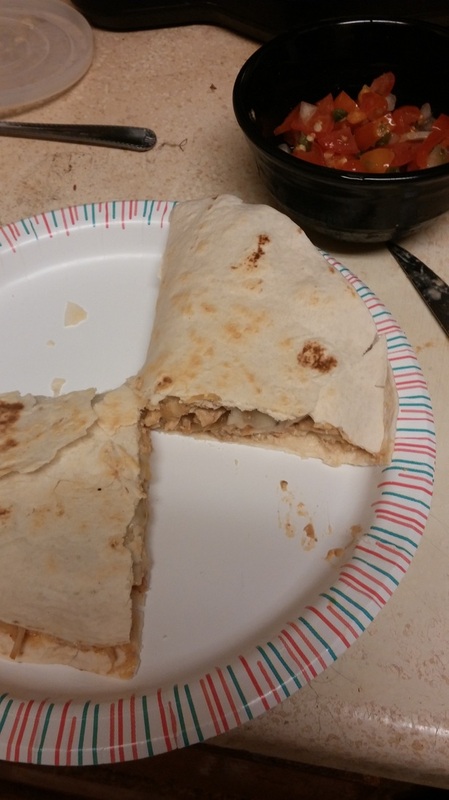 One of my specialties is my own unique and mouth-watering creation, which the hubby and i have deemed taco-dillas, an incredibly gooey, slightly crispy, amazing cross-breed of a taco and a quesadilla. These are not my taco-dillas. 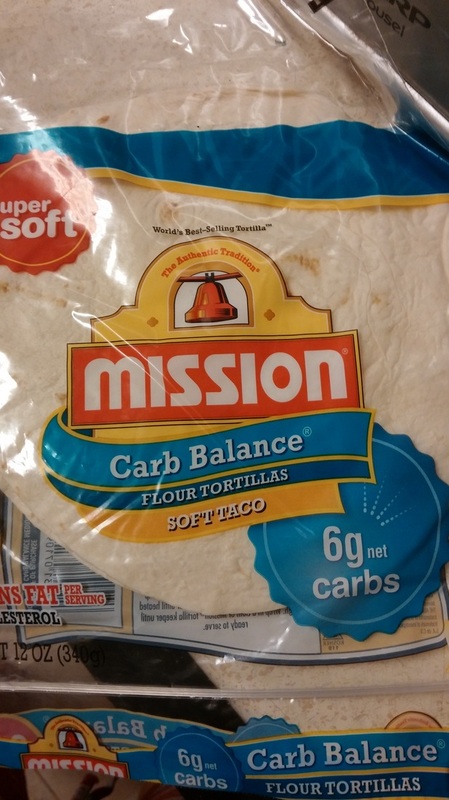 Taco-dillas use corn tortillas, and as you can see from the picture, these are flour tortillas. 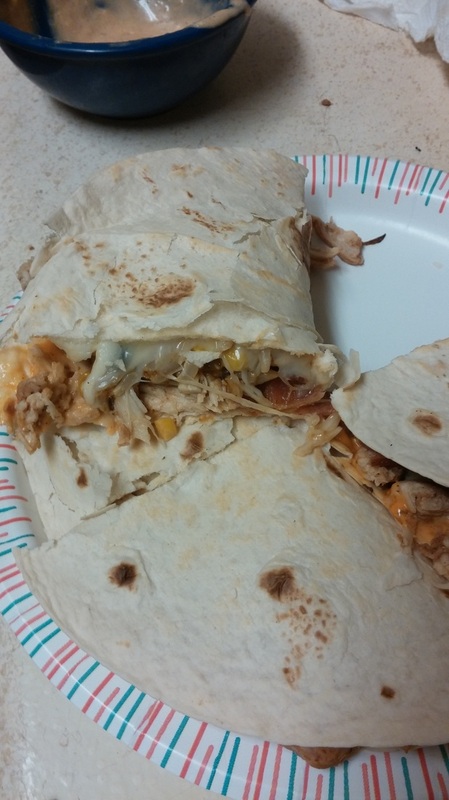 Since i plan on making taco-dillas next week, carbs be damned, you can be sure to find a post on their full amazing-ness. But i found these bad boys in the store, and i just knew that we had to try them out. My Nikki's Kitchen modified wannabe low-carb thing has slightly put me off from my beloved corn tortillas (which i used to have with EVERY scrambled egg breakfast and smothered in salsa, before my incredible love of roasted zucchini surfaced). These guys just screamed out at me from the shelf with all of their low-carb callouts. So, i set out to make some classic quesadillas! Of course, i cheated a bit, as i usually do. Have i mentioned that i'm OBSESSED with that sauce that comes on Taco Bell's mini chicken quesadillas? i love it, i have no idea what it's called, but i would so drink that stuff. 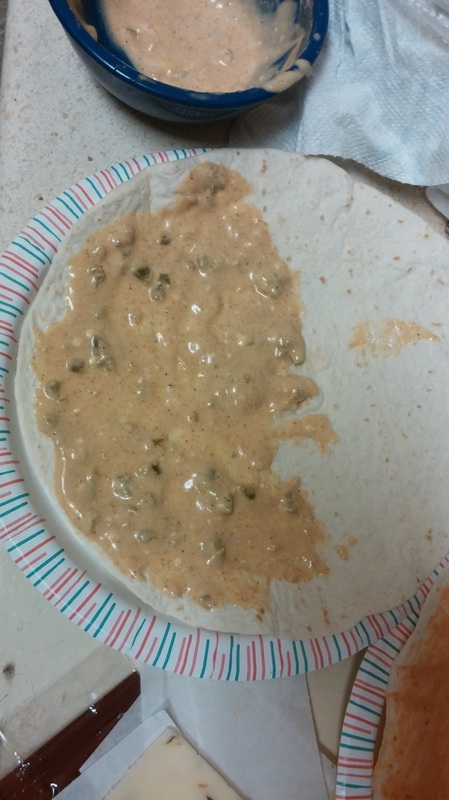 After a bit of research, i learned that it's supposedly a creamy jalapeno sauce, so i looked up some copycat recipes and proceeded to make it. It's that stuff in the blue bowl and shmeared on the main tortilla. Let's just say...ehhhh. Mayo, minced pickled jalapenos, some of the jalapeno juice from the jar, cumin, cayenne, paprika, and garlic powder. It's DEFINITELY not that amazing sauce on Taco Bell's quesadillas, but it WAS super good on my quesadillas! It wasn't super spicy and was kinda mayo-y, but still pretty good. Oh, and that orange sauce on the other tortilla? 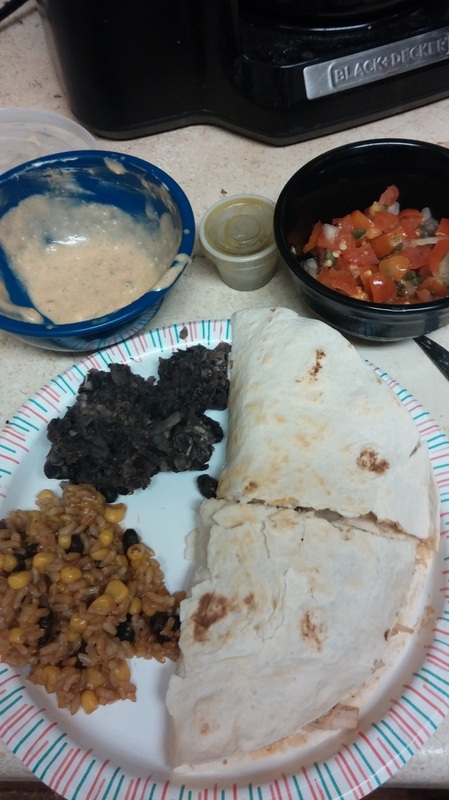 Store-bought Taco Bell brand creamy chipotle. The hubby is obsessed with it. I think it's pretty good, but it kinda just tastes like some kind of spicy, almost-chipotle flavor mixed with ranch. And with a flavor like that, i'd much rather mix real chipotle peppers with some low-fat ranch (Kroger-store brand is incredible, better than any brand name i've ever had). SO! Since the hubby was getting two half-moon quesadillas, I smothered my sauce on one and his fave sauce on the other. I had slow cooked some chicken breast for a few hours (until it was shreddable) in chicken broth, some chipotle peppers, and a bit of homemade taco seasoning (more on that goodness later). Beforehand, I had also cooked up a slice or two of bacon, plus sauteed some onions for me (hubby hates them, can you believe that atrocity?!) 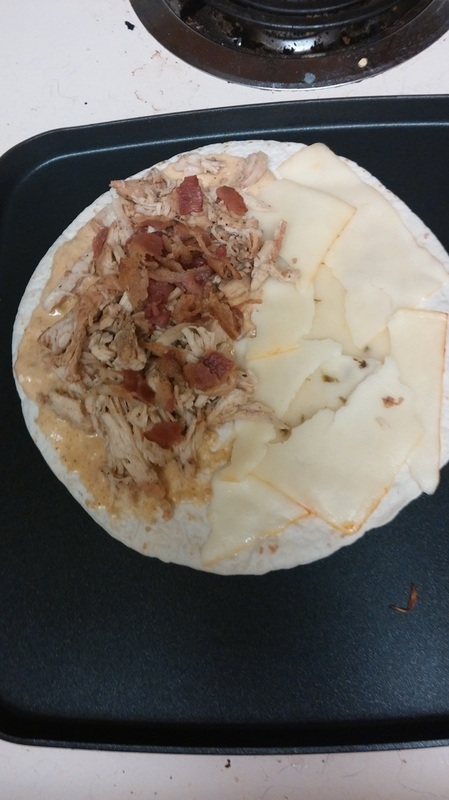 Plopped the tortilla down on my adorably square skillet, layered the meats on half, and threw some cheese on the other half. Did I mention that i used sliced muenster and sliced pepper jack cheese for these bad boys?? Cheating, i suppose. But not only did the nutrition info seem better than the block of pepper jack that i had in the fridge (i ALWAYS shred massive amounts, then simultaneously pile it on and shovel it into my mouth), but i also had an open pack of muenster from making grilled cheese, and oh yeah, did i mention that those grilled cheeses were incredibly gooey and delisioso? On it went. A few minutes later, once the cheese starts to melt, fold it and BAM, done. Please ignore the odd looking black beans. I usually make the most INCREDIBLE black beans (which the hubby doesn't care for), but I threw these together at the last minute to eat less of that rice mixture (frozen, Green Giant of course), and didn't realize that the stove was on high until too late.